Hitachi Capital held a conference to connect its UK teams in September. 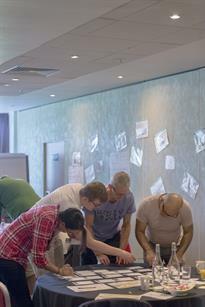 From 21 to 22 September, 50 Hitachi Capital finance staff gathered at Center Parcs Elveden Forest. The aim of the two day conference was to improve communications across the different finance teams throughout the UK and demonstrate the Hitachi Values of harmony, sincerity and pioneering spirit. 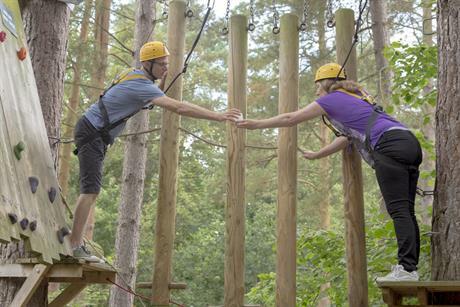 Center Parcs was chosen due to the range of indoor and outdoor activities on site, with specialists to hand, in addition to the ccommodation offering and conference facilities. The first day opened with a minute of music and a video of the Brownlee brothers in Mexico, where Alistair helped Jonny across the line during the Triathalon World Series. This was followed by teambuilding activities such as Aqua Tree Trekking because it demonstrated the 'pioneering spirit' value and required teamwork for the best outcome which demonstrates Harmony. Delegates also ran the Spanish Gold indoor team challenge, with eight teams competing for a bottle of champagne and bragging rights. This gave some individuals the chance to shine who were less comfortable with the outdoor activities. 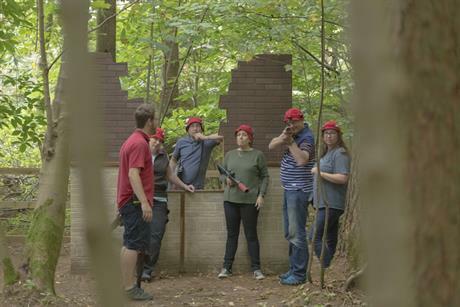 A second team building session gave staff the choice between Laser Combat and Aerial Adventure. As a thank you, staff were given an additional free choice activity on day one. One of the challenges was considering corporate social responsibility. One of the ways this was fulfilled was through attendees sharing cars with three or four people. 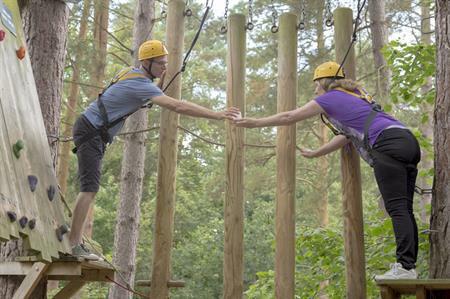 Speaking about the event, Terry Harvey, head of Group Tax at Hitachi Capital (UK) PLC, said: "Center Parcs Elveden Forest was a fantastic venue with great activities on offer. The good weather and supportive and enthusiastic staff ensured this was our best ever conference."